2018 – Let’s celebrate 25 years of EUROPEA! 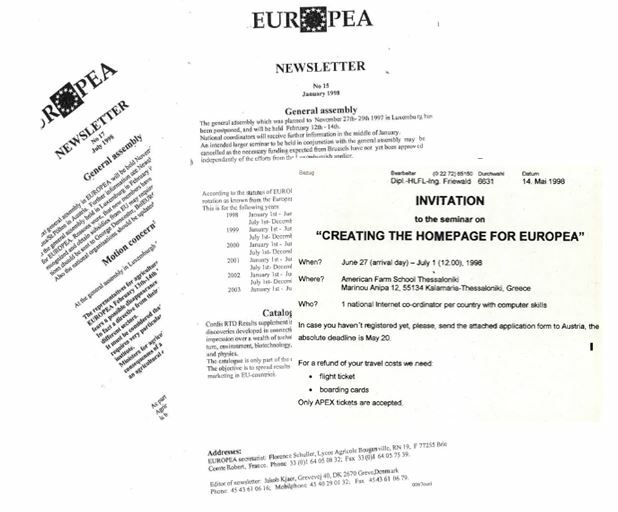 What started in 1993 with 8 countries – Belgium, Denmark, France, Luxembourg, Ireland, The Netherlands, Portugal and The United Kingdom – has developed into a real European network with already 25 member countries 25 years later. After the revision of statutes in 2015 EUROPEA (1) can now rely on well-established bodies to serve its members. What started with a paper newsletter in pre-digital times is now presented in numerous media providing up-to-date information to all members and the public as such. Networks are only a foundation like infrastructure. On this basis – more can develop. If something develops, depends particularly on its members. 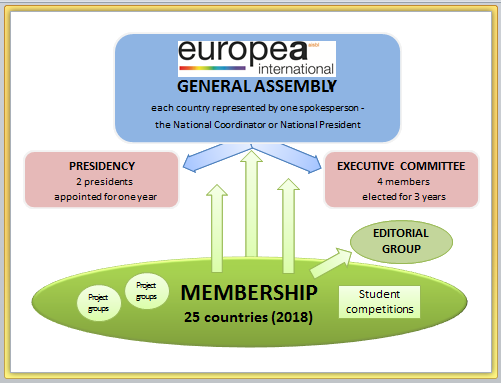 EUROPEA members use Erasmus+ actions to exchange students and trainers, develop learning approaches and learning units, and create didactical and methodical tools and products to facilitate a modern learning process with a European dimension incorporated. EUROPEA competitions enable our students to meet fellow students from abroad and show their professional competences. 25 years of EUROPEA – time to honour the accomplishments of the past, reflect and raise awareness for future challenges, remember milestones and meet some of the founding members. EUROPEA – Alone you go faster – together we go further!